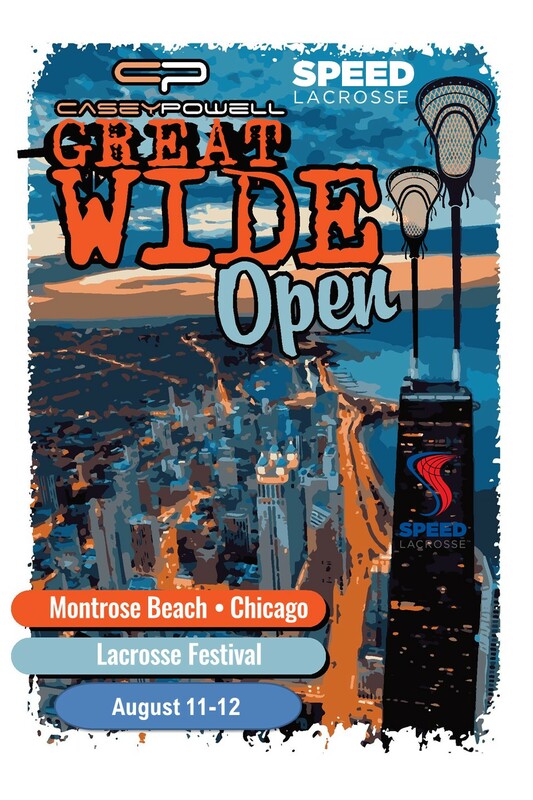 SPEED Lacrosse®, an innovative new action sport founded by a team including American lacrosse superstar and Hall of Fame member Casey Powell, brings its non-stop action to Chicago this summer at the inaugural Great Wide Open Beach Lacrosse Festival, which will take place at Montrose Beach August 9-12, 2018. The Great Wide Open Beach Lacrosse Festival will feature a DJ, prizes, a VIP area at The Dock , a SPEED Lacrosse ™ clinic presented by Casey Powell, a ProSPEED exhibition featuring a variety of professional lacrosse players and an open play opportunity where area coaches, parents and lacrosse fans ages 19 to 99 will be encouraged to grab a stick and feel the need for SPEED®. You can register individually or as a 5-player team in 5 age groups from Elementary thru Masters. (If you have fewer than 5, we will round out your team for you.) Coed teams are welcome and encouraged. Divisions are co-ed; players may play up in their age division but not play down. Each team has a name and captain. Team captains are in charge of gathering information and payment for their team. 3V3 SPEED Lacrosse play; 4-5 players to a team. Players will need their stick and a mouthguard. The first 100 registrants will receive a free lacrosse stick by Powell Lacrosse ($100 value). Receive a $25 discount by registering before August 6. CLICK HERE to see what SPEED Lacrosse® looks like. Registration fee includes a free 1 year SPEED Lacrosse Player Passport membership , which entitles you to sports accident insurance for SPEED Accredited Events and a 20% discount in the SPEED Pro Shop.